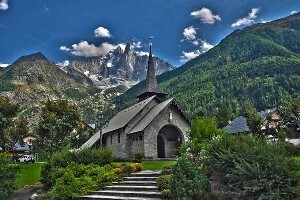 Chamonix is the central town within the valley. Unlike many ski resorts, the town was not purpose built but blossomed from a small mountain village when two young English aristocrats visited the Priory of Chamouni in 1741. Their tales of the beautiful landscapes and glaciers resulted in multiple tourists coming to admire the Mer de Glace and Mont Blanc. Today Chamonix is a thriving town with numerous bars, shops and restaurants and has a reputation for being the sports capital of the world. 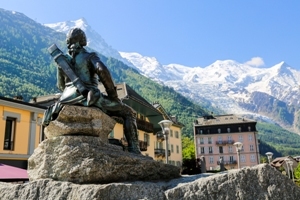 Read more about Chamonix. The picturesque village of Les Praz is a 5 minute drive from the centre of Chamonix or a 25 minute walk. Home of La Flegere ski area, a 6km cross country ski circuit and Chamonix's 18 hole golf course, there is plenty to do here in both the winter and the summer months. 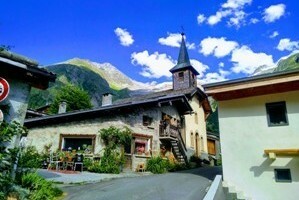 The village is a popular place to live with many of Chamonix's most opulent chalets situated in the area of Les Bois. Les Praz is the perfect place for those who prefer a tranquil setting with a slightly slower pace. Read more about Les Praz. Argentière is home to the Grands Montets ski area, the largest domain in the valley and famous for its off-piste. Situated a 15 minute drive from the centre of Chamonix, this village has real authentic French charm complete with fabulous patisseries and wine bars. 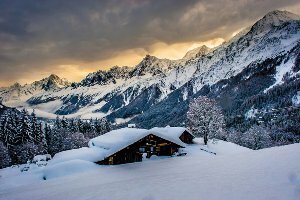 If you prefer a slower pace of life away from the hustle and bustle, yet still have a good selection of restaurants and bars, then Argentière is for you Read more about Argentière. Les Houches is a popular commune composed of various different hamlets spread over an 8km stretch. 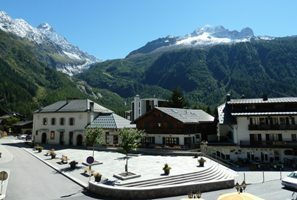 The town is just a 10 minutes drive from the centre of Chamonix and has easy access to the dual carriageway. Les Houches has its own large ski area which is particularly suited to beginners but also have some great off-piste spots too. The town itself has a good selections of boulangeries, bars and restaurants an includes an ice rink, indoor climbing wall and mountain museum. Read more about Les Houches. This small traditional Savoyard village is situated at the foot of the La Tour Glacier and is home to the La Balme ski area. Le Tour is a 20 minutes drive from Chamonix or 5 minutes from Argentiere and is the perfect place for those who are looking to tranquil authentic mountain setting. The village does have a few cafes/restaurants and bars so you can enjoy a local drink or meal out. Read more about Le Tour.